"Absolutely most enjoyable professional experience. I hired Jen Z for my wedding. I received the photos this week and they are perfect. She listened and took every photo I requested plus so much more. The candid moments she captured will be treasured forever. I was a pretty difficult bride in that I didn't want to "waste" time posing for pictures and miss out on my wedding day. Jen Z. rolled with it and got absolutely perfect pictures and I didn't feel like I spent half the wedding taking pictures. I highly recommend her. Thanks again Jen!" 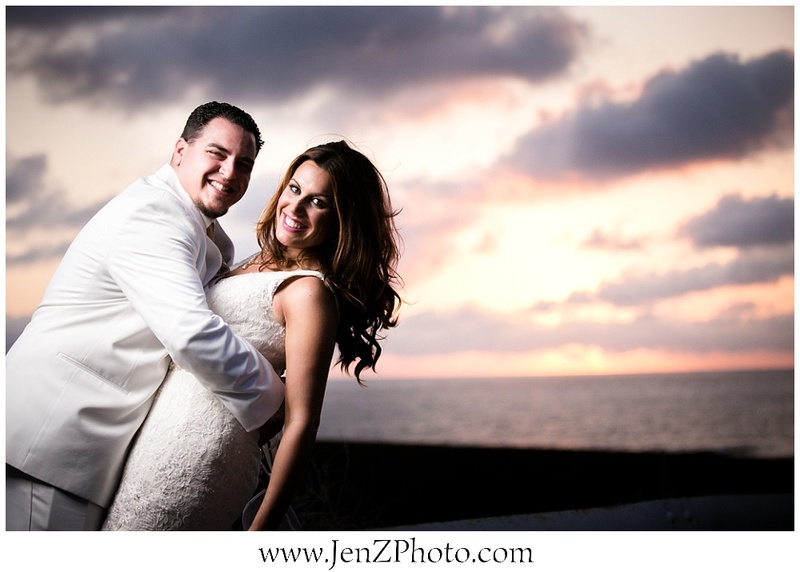 When we first met Jen Z, she told us that she would shoot our wedding as if it were her own...Such a wonderful attitude that we definitely benefited from. Even more assuring, knowing she had gotten married herself just months before we did. Our wedding was a perfect storm of spur-of-the-moment adjustments/plan changes. worked with the other vendors for optimal photo taking; making it all seem effortless. have the wedding videoed. We ended up with a ton of keepers! "She is very quick, thorough, and is extremely professional with what she does. We loved our engagement shoot and can't wait for our wedding photos to be taken."